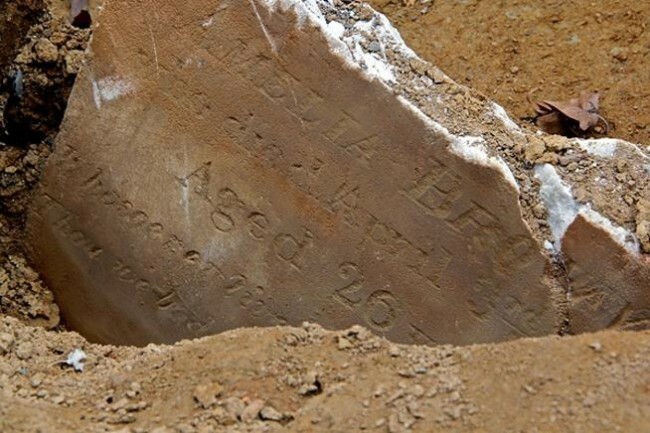 Seventeen-month-old John W. Harrard died this date, July 20th, in 1848 and was buried at Bethel Burying Ground. 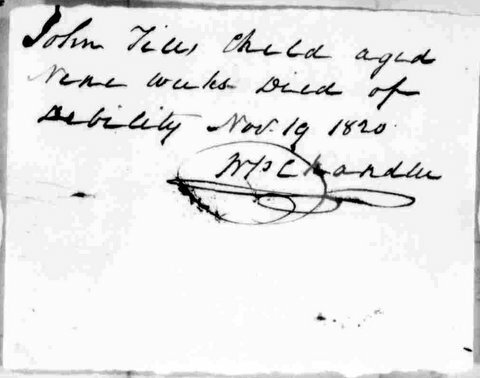 Seventeen-month-old John W. Harrard died this date, July 20th, in 1848 of Marasmus and was buried at Bethel Burying Ground. The child’s parents, Clement (38 y/o) and Comfort (31 y/o), had four other children at the time of their son’s death: Charlotte (12), Clement, Jr. (9), William (6) and Abraham (4). All the children and their father were born in Pennsylvania while their mother was born in Delaware. 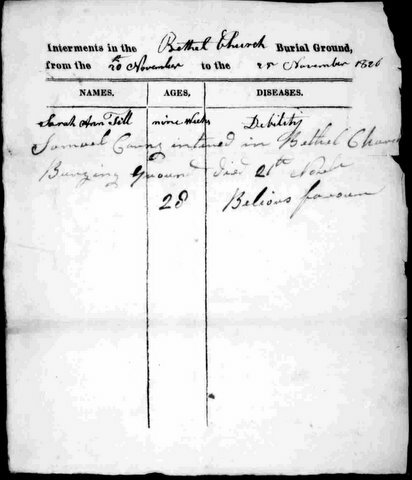 Sadly, the family would lose another child, George, in 1853 due to convulsions. He was seven months old at the time of his death and was buried at Lebanon Cemetery. The red arrow on the above map indicates the location of the Harrards’ home. The diamond symbol shows the location of the Bethel Burying Ground. There were lanes, alleys, and courts in the city that had not been dignified with the status of the sorry state of an official Philadelphia street – Marriott’s Lane was one of these. The family lived in one room in a tenement, for which they would pay approximately $2 a month. Thirty-five Black families lived on Marriott’s Lane, according to the 1847 Philadelphia African American Census. They lived in rooms that were poorly ventilated boxes, where they froze in the winter and roasted in the summer. During the worst of the heat, the rooms were ovens of stifling feted air. To survive, the families had to sleep outside on the sidewalks and on the dirt or cobblestones of the narrow thoroughfares. Above is a sketch by a newspaper reporter in the 19th century of a sight he came upon one night in the Harrads’ neighborhood. Little John Harrard died of ‘Marasmus,’ a term that stood for a variety of malnutrition, wasting and starvation illnesses in the 19th century. The condition has been characterized as a disease of the “extremely poor.” Often, the infant or child was being fed too many carbohydrates (cheaper) and little, if any, protein (more expensive). In many cases, the individual simply starved to death for lack of any food. Seventeen-month-old John W. Harrard was buried on a day where the morning broke clear and warm (65 degrees) and the temperature rose to 86 degrees by 2 o’clock.